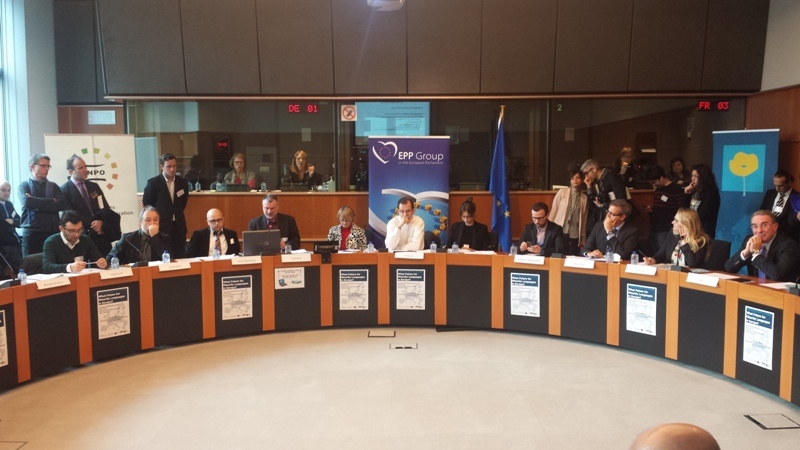 This week, two conferences were co-organised by the European Free Alliance in the European Parliament. The first was a linguistic conference, organised together with the UNPO. The topic was the future of minority languages in Europe. 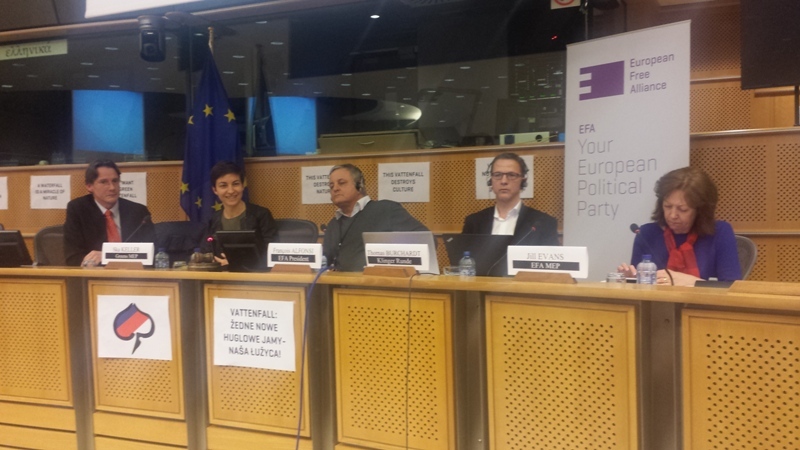 The second conference, organised with the Greens-EFA Group in the European Parliament, covered the destructive effects of brown coal mining in Lusatia. While the issue of languages and minority languages in particular is an issue that is important and of relevance all over Europe, today it is still a matter left up to the individual member states. There are some measures in place, but all in all implementation and protection is in the hands of states, rather than an overarching European structure. Speakers in the conference illustrated the issue of linguistic diversity with a range of different examples. Vicent Climent from the NPLD took for example the issue of the Charter for Regional and Minority Languages, and how it does not protect all minority languages being used, and offers only limited protection to those it does cover. EFAy stresses that member states signing this charter can make exceptions to protection clauses, weakening its impact. Multiple speakers focussed as well on the incredibly important role of education in the survival, protection, growth and stimulation of minority or endangered languages and cultures. Paul Videsott and Rudi Janssens spoke about this issue, with Rudi Janssens taking the particular case of the bi- or multilangual nature of Brussels into consideration, illustrating the link between family use of a language and using that language as a primary language in school. Hannes Wilhelm-Kell from the Lusatian Alliance spoke about the initiative from minority language speakers to themselves start organising education in their own language, a project that he himself is undertaking as well. However, he said that such efforts are not recognised enough or at all by member states and that there is a definite need for more protection and funding of projects to reinvigorate use of minority languages in education. The power to decide on these issues must be with the people of Europe, and a better European framework must be set in part by the European Parliament and the European Union in general to protect and develop minority language issues. In the second conference, the focus was on the issue of brown coal mining in Lusatia, and how it affects environmental and cultural sustainability. Brown coal mining is undertaken in Lusatia by Vattenfall, a Swedish owned company. The process of brown coal mining is incredibly destructive to the environment, with huge stretches of land torn up in an effort to strip the land of its resources. What is more, Sorbian villages are being forefully relocated in order to make room for these mining practices. Over a hundred villages have been relocated in this way, marking a grave threat to the continuation of historic Sorbian culture and the continuation of their cultural heritage. 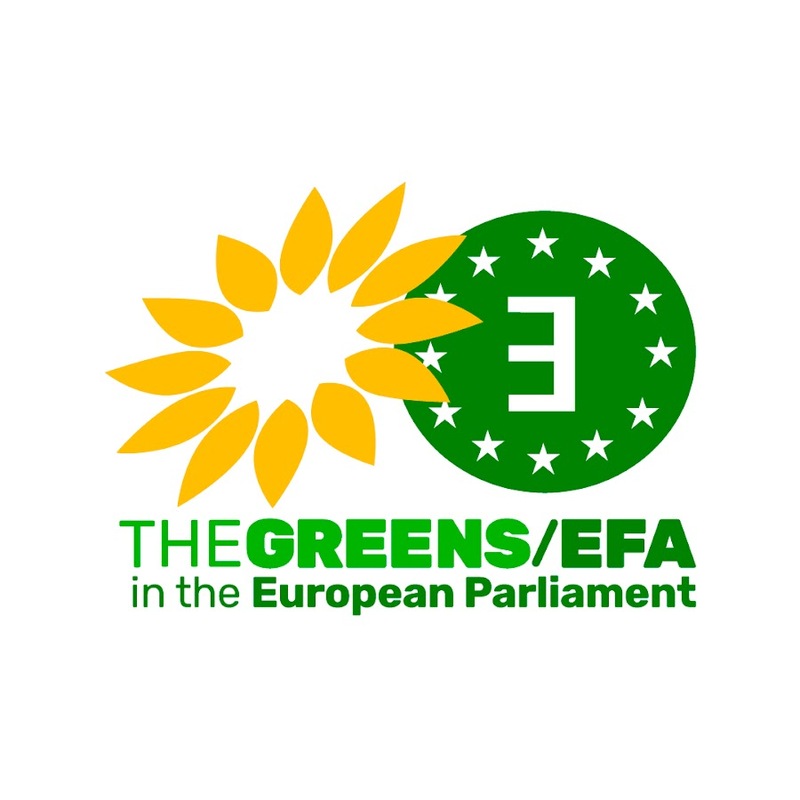 Greens MEP Ska Keller and EFA MEP Jill Evans gave speeches on the issue from a green and a Welsh perspective. Jill Evans, in particular, recalled the mining history of Wales and how attention must be called to the fact that these mining practices are often hidden to the public, which is in stark contrast with their impact on regions and their people. A call to stop these destructive practices and to instead turn to sustainable methods of energy production is all that can logically be concluded from listening to the presentations of the Lusatian representatives. Vattenfall must take responsibility for their methods of energy production, and the German state must alter its energy policies! ← Les nationalistes écossais aux portes du pouvoir à… Londres!